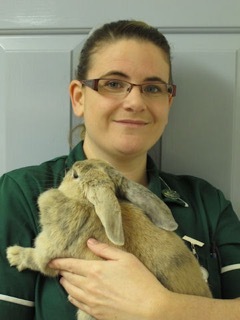 Jo has worked in the veterinary industry since 2007 and has always had a special interest in rabbits. She started her own company, LagoLearn, that provides rabbit specific CPD to veterinary professionals in both the UK and internationally. She also spends a significant amount of voluntary time working with charities and parliamentary groups to highlight animal welfare and is proud to be a council member and officer of the British Veterinary Nurse Association. Jo attends many events, gives lectures and writes articles for the veterinary industry as well as the general public and schools. She has received several awards over the years including the Blue Cross Veterinary Nurse of the Year in 2014, an RCVS Innovation Award winner in 2017 and the IFAW Animal Advocate Award in 2017.